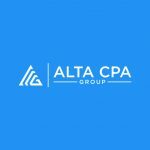 Amanda Ragula is a founding partner of Alta CPA Group with thirteen years of public accounting experience. Amanda has worked extensively with not-for-profit organizations and their unique accounting issues. Her experience has included providing audit services to not-for-profit and core service agency clients, performing outsourced controller and interim CFO services, and consulting with not-for-profit organizations to refine and improve their internal control and processing procedures. She is knowledgeable about a wide range of accounting and compliance issues, including Federal Form 990, Uniform Grant Guidance, charitable solicitations, cost allocations, and Government Auditing Standards. She also has extensive experience helping nonprofits with compliance and budget challenges plan for a more sustainable future by developing new systems and processes for more effective finance processes. Amanda has performed forensic investigations in a range of industries. She is experienced in working with legal and law enforcement professionals to support positive outcomes for forensic investigations and prosecutions. Amanda is a Certified Public Accountant licensed in the state of Maryland. She is a member of the American Institute of Certified Public Accountants, the Association of Certified Fraud Examiners (an international association of anti-fraud professionals), and the Maryland Association of Certified Public Accountants. She graduated from the Pennsylvania State University with a Bachelors of Science degree in Horticulture and from Towson University with a Bachelors of Science degree in Accounting. She has previously volunteered as a Court Appointed Special Advocate (CASA) in Anne Arundel County and was a member of the 2010 Shore Leadership class.